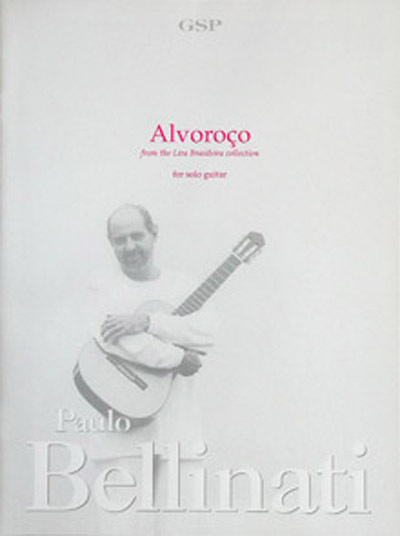 (as recorded by Paulo on Lira Brasileira) Alvoroco (Euphoria) is a Maxixe dedicated to the great guitarist/composer Joao Pernambuco. In the early 20th century, the Maxixe was considered a scandalous and very sensual dance. Maybe because of this, great composers such as Ernesto Nazareth, Chiquinha Gonzaga, and Joao Pernambuco himself, would hide their Maxixes under other stylistic names like Tango Brasileiro, Corta-Jaca, Jongo, Batuque, etc. This ballroom dance acquired international fame similar to the Lambada today.